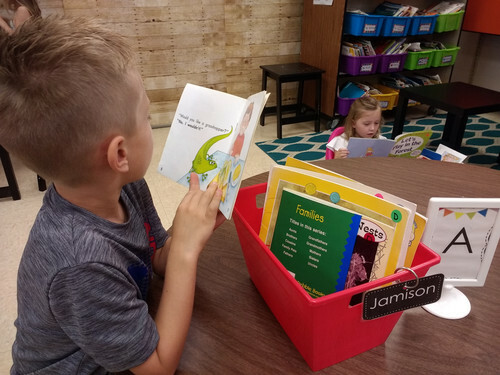 Each of the three elementary schools follows the Everyday Math program and a balanced literacy approach that is linked to the Common Core State Standards. Other special offerings include art, music, physical education, and guidance. All teachers use a variety of instructional strategies to address the needs of our student population. All elementary schools have a Library Media Center (LMC), a computer lab, and SMART Boards. The School District of Monroe follows a Response to Intervention (RtI) or Multi-tiered Systems of Support (MTSS) framework in both academic achievement and social-emotional learning that focuses on early intervention, a tiered system of interventions, and consistent monitoring of data to measure the effectiveness of our curriculum and instruction. Abraham Lincoln Elementary feels that social-emotional learning is just as important as academic achievement and utilizes a positive behavioral approach, known as PBIS, that includes teaching our school expectations, building community, and acknowledging positive choices. All of our school rules revolve around the three expectations: Be Respectful, Be Responsible, and Be Safe.